Front View of a Custom Vented Polycarbonate Enclosure. This custom vented polycarbonate enclosure was designed by the owner and fabricated by New-Tech. 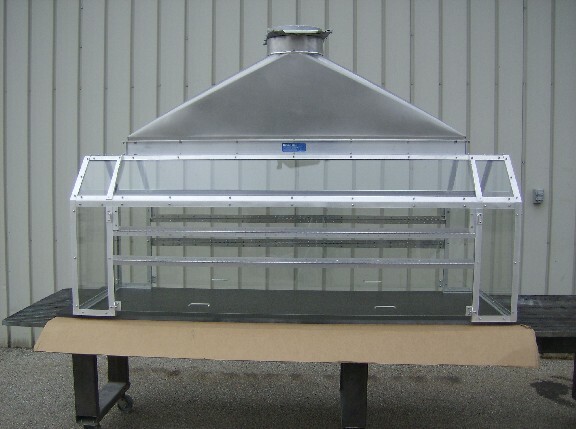 This custom vented polycarbonate enclosure was fabricated with polycarbonate panels and anodized aluminum angles. This custom vented polycarbonate enclosure had a two panel hinged door on each side. This allows the user to open the door to half open or full open.